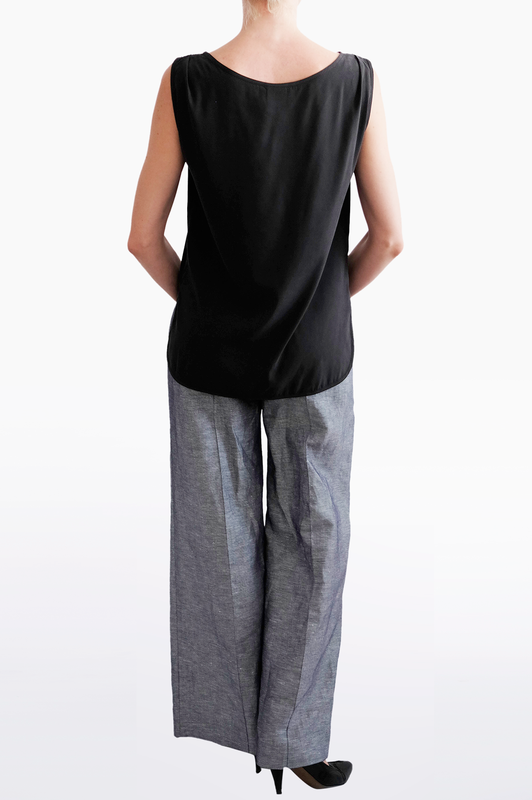 The Dagmar top is cut from 100% cotton to a relaxed and elegant sillouehette that suits any occasion. The small bust pocket, elaborated with ER Couture's signature braiding, gives it a feminine touch to the loose silhouette. 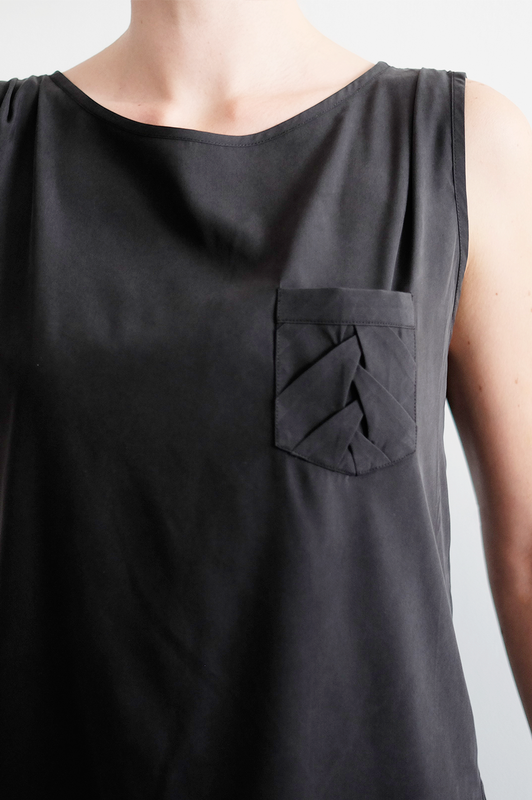 The round hem is finished with a biasband and the side slit make it easy to tuck in the front. Style it with either shorts or a pair of trousers for a more elevated look.